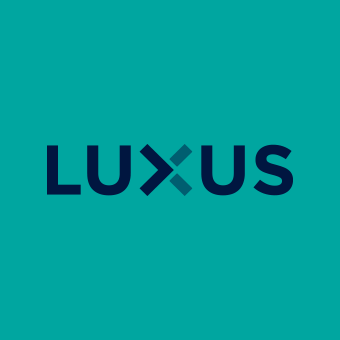 Luxus Drafthorse is designed to save marketing departments money and time. It does this by speeding up and streamlining the production and management of marketing assets at corporate-scale volumes. Whatever assets you work with, wherever you need them, Drafthorse can shorten the time it takes you to get them to market. One of the keys to Drafthorse’s speed is the way it streamlines your workflow all the way from asset creation to distribution. The user interface makes it easy for users to find, edit, save, download and distribute the assets they need. And this can be done at scale so that users can quickly and easily create as many marketing assets as they like, in-house, without additional direct costs. With Drafthorse, you can create new assets and have them finished and ready to publish within minutes. Everything Drafthorse produces is on brand so that it’s ready to use immediately, without further approval. Uploading is fast, too. When you upload new master templates for your marketing teams to use, they’re available instantly, all around the world. Drafthorse helps you deliver both print and digital assets fast and ready to use. With digital assets, you can create banners and emails in HTML5, JPEG images, and even Flash banners, and then distribute them straight from Drafthorse via email. With printed material, you can also deliver your finalized assets to media and printing houses straight from Drafthorse, all in the correct format, complete with ICC profiles, bleeds, colour bars and more. Drafthorse speeds up localization by minimising the work your local offices need to do. For example, you can set access rights for each region to ensure that your teams only get assets in the correct language, with approved translations, images, and partner logos. You can even lock assets to prevent text and image editing. In addition, Drafthorse supports all languages whether they require left to right, right to left, or up or down text directions. Drafthorse lets you personalize both digital and printed marketing assets. For example, when you create electronic direct mails you can choose to send either individual or mass mails. And you can personalize printed direct media, too. Drafthorse also lets you personalize user access and editing rights for each user and for each of your organizations. When it comes to internal corporate branding, you can create personalized branded assets for internal use, as well. With Drafthorse, it’s quick and easy to create multiple variants of your assets to test which perform best. In each type of marketing asset, you can change images, colours and headings almost instantly. Drafthorse also provides reports to let you see how your marketing teams use Drafthorse and which assets are most popular. This reporting can be integrated into your current analytics solution. In addition, you can add tracking code to your HTML5 banners from within Drafthorse, to provide end-user analytics, too. The marketing material Drathorse produces is always on brand, approved, and ready to use. This is because all the elements you need are brand approved from the start. Every template, colour, image, logo, headline, translation and more is approved before it’s uploaded to Drafthorse. And because you can set access rights by region, you can also ensure that the products and offers available in each market are correct, too. If you’d like to reduce your lead times and shorten time-to-market, get in touch to find out how Drafthorse can meet your specific needs.